Mobile Phones Fan: Does New Apple Patent Threaten Android ? According to rumor, Apple plans to patent 'patents'. 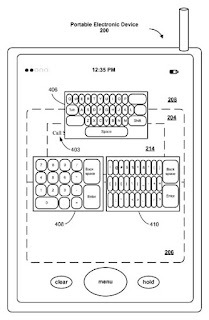 On Tuesday, Apple Inc. became the lucky recipient of "Method, system, and graphical user interface for selecting a soft keyboard", U.S. Patent 8,179,731. This +5,500-word beauty starts off by discussing the typical soft ('virtual') keypad found on every smartphone and tablet. 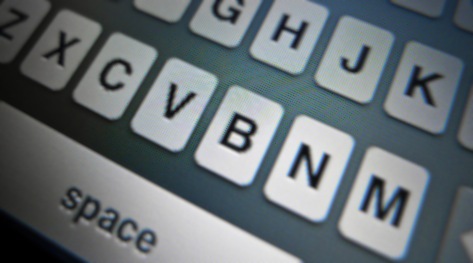 Specifically, it's concerned with a common keyboard function: clicking a virtual button to alter the keyboard's layout...for example, switching from letters to symbols or from Russian to English. And it was at this point where MobilePhonesFan was struck by a horrible thought, "Holy crap -- has Apple patented keyboard layout controls!?" Happily, we remembered the wise counsel of a genuine patent attorney: "You can't patent a vague, general concept," he said, "without also showing the precise method and/or mechanism that makes it work." Comforted by this thought we decided to plow back in, to look for the specific details in Apple's application. 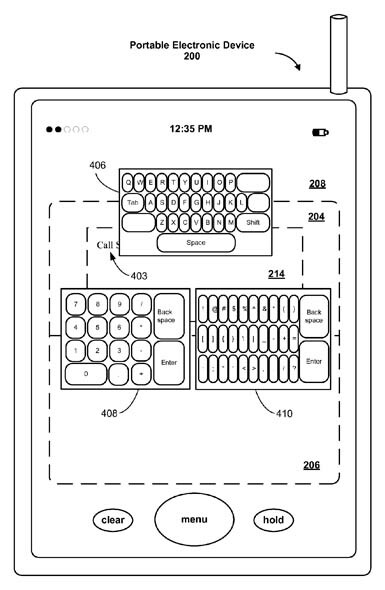 Turns out Apple's patent specifies buttons outside the keyboard, either set apart or hovering above it, like the letter "balloons" after each keystroke. We aren't intellectual property lawyers, but this seems a clear distinction. On every Android or Windows Phone keyboard we've seen, any control keys are set among the others. Typical Android phone? No. Typical control button? Yep. To repeat, we're no experts. We caution you against pinning your hopes on the accuracy of our amateur interpretation. And even if we're right, that fact alone won't stop the swell folks at Apple, Inc. from employing U.S. Patent 8,179,731 in their extortionate demands against Android licensees earnest desire for a level playing field.